Pleasant and Healthy working environment and good employer – employee relationship provide ideal situation for the growth of the companies, employees and the economy. Adopting fair and sound employment policies foster worthy environment in the work place. 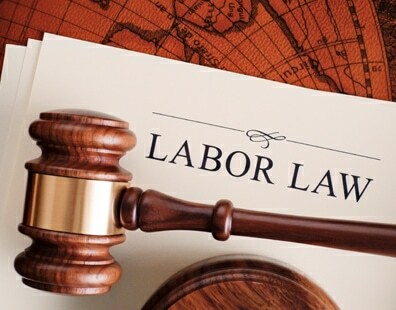 The Labour Law/Employment Law deals matters related to working hours, vacation and public holidays, sick leave, employing juveniles, maternity leave, employee records, safety standards, disciplinary procedures/penalties, termination of employment, employment ‘ban’, notice requirements and end of service gratuity payments. Federal Law No. 8 of 1980 also known as the Labour Law as amended governs the labour rights of employees in the private sector. According to Article 3 of the Law, it applies to all employees working in the UAE, whether UAE nationals or expatriates. There are Special Laws governing domestic workers, employees of the public sector under the Federal Government and the Local Governments and the free zones. Public sector employees of the Federal government are governed by the Federal Decree Law No. 11 for the year 2008. Free zones have their own free zone regulations. At Al Nassar, Our Employment Law Lawyers are experienced and understand well the intricacies of all aspects of the Labour Laws. They provide valuable advises in contentious and non-contentious employment related issues to best protect our client’s interests as employer or employee. We advise and help companies in formulating comprehensive employment policies. We draft and review employment contracts taking into account the client’s business objectives, the nature of business activities, and the applicable Labour Law. We represent clients in various disputes and litigation arising out of the employer-employee relation including disciplinary proceedings, unfair dismissal, termination for redundancy, claims for post-termination entitlements and gratuity, discrimination and harassment claims, wage claims etc. Our focus is always on safeguarding the interests of our clients.